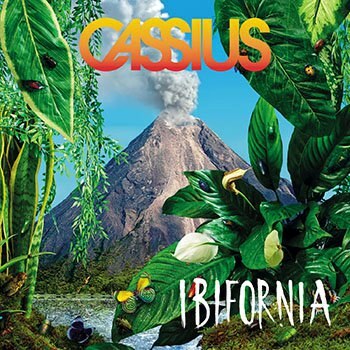 Cassius offer up a sunshine disco album sorely lacking identity. Let’s take a minute to look at how the dance class of '99 has fared. 1999 was a stellar year for dance music in general which saw the release of some notable albums. The king of them all was Moby’s inescapable electro-blues monolith Play. Nonetheless, the dance field was ably represented by leftfield’s Rhythm and Stealth, Death in Vegas with their Contino Sessions, and Chemical Brothers’ boisterous big beat workout Surrender. It was also a big year for the French dance music scene whose members were riding a wave of success following the triple whammy of Daft Punk's Homework, Air's Moon Safari and, the final cherry on the French pastry that was Cassius's aptly named debut album:1999. That album breathed new life into the '80s disco sound to create a sharp album replete with enough hooks to fill a hundred dance floors. It also spawned the monster hit “Cassius 1999” that proved a staple of dance floors around the world. Their career since then has been spent largely in the shadow of that album. The main criticism aimed at them has been that their sound lacked cohesion with albums featuring sprawling mixes of styles. Their albums moved away from the largely computer and keyboard based rhythms to add much more instrumentation giving them a fuller, more organic sound. At times, this was a resounding success but they never really captured the lightening in a bottle that was their first album. Seventeen years have passed since then and the duo have returned with their jungle themed Ibifornia album. Opening single “Action” sums up the strengths and the weaknesses of the set. It is always a pleasure to hear Cat Power’s voice on any track and here, she demonstrates why. On “Action” we encounter Cat Power at her most soulful. She bobs, weaves and struts around the funky bass line like a soul tiger, offering one of the sharpest vocal hooks on the album. However, the spell is soon broken by a phoned in and insipid verse from Mike D during which he, for some inexplicable reason, seems to be trying to do an impression of Billy Maddison. Admittedly, the signs are there on the previous song, “Love Parade”, but at least on that song, he is coherent. Then, just as you think the song has finished, it randomly restarts. It is genuinely bewildering why the band decides to repeat the whole song again. Stop now. It’s done! The strength of the album lies in who they've co-opted into make an appearance. Ryan Tedder is called in to add some pop nouce on “The Missing”. Thankfully, he is on his A-Game, clearly showing that he knows his way around a pop tune. It's a decent sunny banger with a saxophone section that turns the tune into a soundtrack to an '80s pool party. Tedder makes another push for the pop summit later on the more gospel “Hey You!” with equal success. Then there's “Go Up”, which is probably the strongest song on the album. It's built around John Barry-esque suspenseful keys, backing "oohs" and shimmering disco guitars that come across like a Gaelic disco bond theme. Cassius break the emergency glass marked “Pharrell” who does his finest Prince impression while Cat Power shows her funkiest disco moves. On “Feel like Me” we get to see the other side of Cat Power with a shadowy, heartbreaking performance. As in her finest work, she sounds like she is barely holding it together. The refrain of “I think we are doing better than we’ve ever been” doesn’t sound the slightest bit convincing. Sadly, the rest of the album offers few highlights. The title track weaves sampled jungle noises and spoken word samples with stuttering beats and a gently ascending synth line. It's fun for a while but soon outstays its welcome. Like many of the songs on here, it is begging for a good editor. “Blue Jean Smile” adds a modern twist to '80s pop radio and it works if it's not just a little too disposable. Closer “Ponce” slowly builds from its ambient beginnings to a euphoric ending complete with galloping percussion. It is the only song here that is credited to just the duo, and that's telling. Although markedly different from what has come in the past, this set struggles to get anywhere near Cassius's debut album. Time waits for no man and it has proven to be especially cruel to late '90s dance music. Sadly, this is true of Cassius. Whereas their debut offered a rush of something genuinely new, this album sounds a little forced. The whole thing comes across as a bit of a mish- mash, a bit cobbled together. It's an album all too reliant on the guest singers to give the songs identity. All in all, it's not really worth trying to find in the jungle.